When I stepped out of the train at Grand Central on Sunday, September 4, I was a little startled to hear loud hooting and hollering on the platform and a large number of people dressed in bright yellow and green shirts. As an avid soccer fan, I knew I was dealing with something Brazilian, and, curious to see what all the commotion was about, I began tapping these yellow-clad youngsters on the shoulder to find out. It took a few tries - several of them didn't actually speak English and merely smiled (and/or winked) - until I finally discovered that they were all headed to New York's annual Brazilian Day Festival in "Little Brazil." Well. First of all, I didn't know New York had a Little Brazil. Second, I had no idea the festival is so enormous; according to the Portuguese American Journal, it is the largest Brazilian event outside of Brazil. And third, this festival is not simply a celebration of Brazilian culture, but of Brazil's declaration of independence from Portugal in 1822, which technically falls on September 7. I am ashamed to say that I didn't know much about Brazil prior to this day, other than their World Cup record (2014!!!... though I'm rooting for ze Germans. Shhhh, don't tell anyone). So clearly, attending raging street festivals on a whim can teach you a little something about history! Not that I need more excuses to go. The festival is quite massive: an estimated 1.5 million people attended in 2010, and this year seemed no different - trying to get to some of the food stands was like pushing your way through Times Square on New Year's Eve, but the food was well worth it. Another thing I'm embarrassed to admit is that I had never tried Brazilian cuisine, and I can't believe how much lost eating I have to make up for - the food is divine! Because the festival fare was on the heavier side, I could only eat two dishes before feeling like I would explode. First, I tried an acaraje, and it was like nothing I had tasted before. 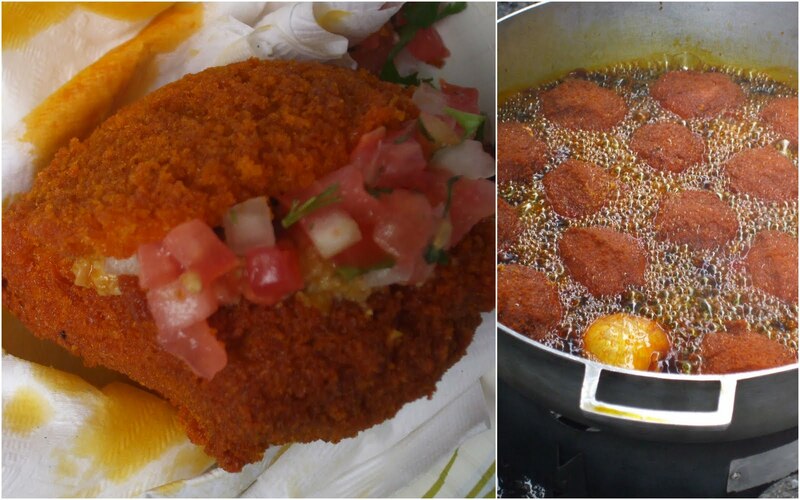 Acarajes are made of ground black eyed peas seasoned with various spices and then deep-fried in vegetable oil and filled with whatever you like (this one was served with finely diced tomatoes, onions and garlic in a spicy sauce). The texture of the acaraje was interesting - it's crumbly and crunchy at first, but turns into a soft paste that sticks to the top of your palate as you chew. It's also very, very heavy, with grease dripping all over the place, so don't let your eyes fool you: one is more than enough. 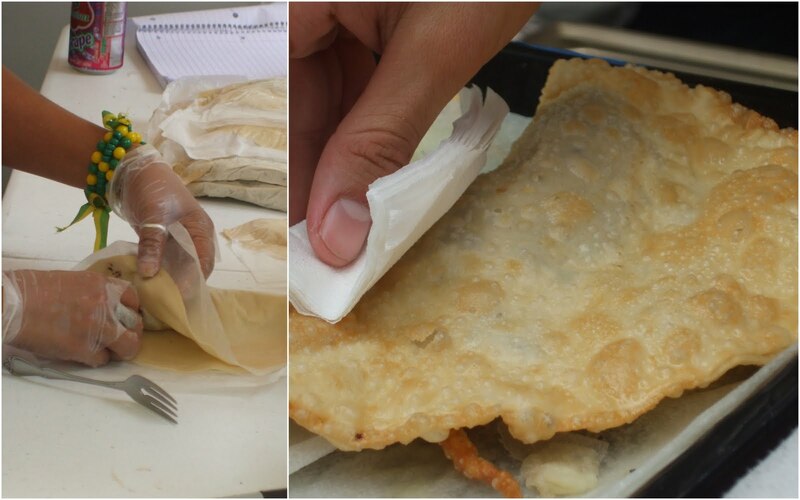 Next, I tried a pastel, which is basically a thin shell of crispy fried dough stuffed with gooey melted cheese (or meat or shrimp), and it's just as guiltily delicious as it sounds. It's especially terrific when paired with a light fizzy fruit drink, such as Tubaina, which helps to wash down some of that grease. And now that we're on the subject of drinks, I decided to meet two lovely friends for cocktails following the festival, and in keeping with the theme of the day, we stopped by BarBossa on Prince and Elizabeth Street, where you can find extremely well-made caipirinhas, considered Brazil's national cocktail (don't be afraid to try the jalapeno caipirinha - to die for!). 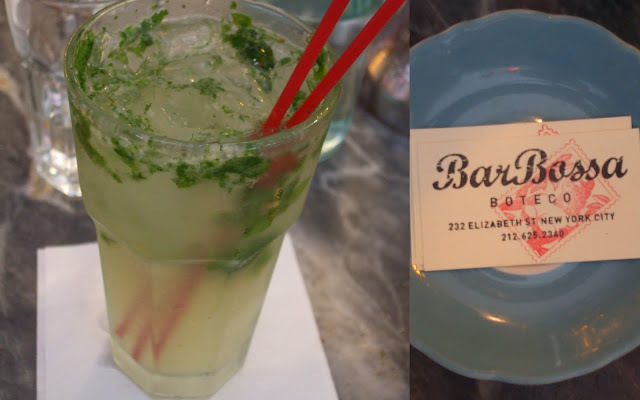 The space is small and very charming, with wide-open windows to let in the warm summer air, and the food is good and very reasonably priced. Of course, after a full day of eating and drinking, we felt it was time for dessert, and there is no shortage of options in the neighborhood. 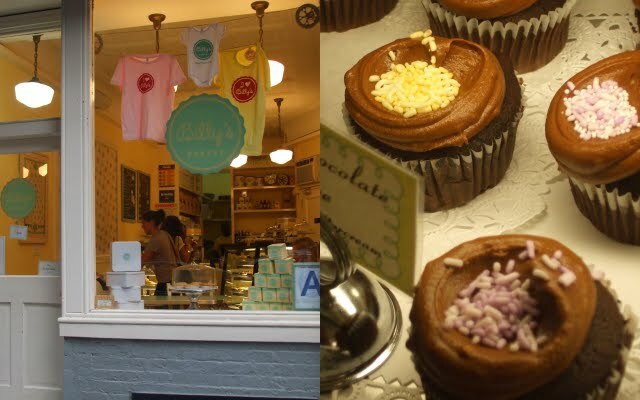 We opted for Billy's Bakery on the other end of Elizabeth Street, and it was a good choice: their cupcakes are small and not overly-rich, so they're perfect for an already-stuffed belly. I tried the classic chocolate, and it was fluffy and airy and creamy all at once - the perfect bite at the end of the day. If you're itching to visit other New York street festivals, don't miss the Feast of San Gennaro in Little Italy, running from September 15-25 and featuring traditional religious processions (it is Saint Gennaro's celebration, after all), live music, parades, and lots of delicious eats. Go to http://www.sangennaro.org/ for the Feast calendar. Also, check out TimeOut for an updated list of other NYC street fairs and festivals. And wherever you live around the world, find local festivals in your area and take advantage of the last days of summer! This looks so fun, I wish I had been there! It sounds like a bright spot of sensuousness and levity in a city that can take itself very seriously. Thanks for sharing, glad I found this. Thanks very much for reading! I'm glad you enjoyed it.